Following a 1-1 draw in regulation and extra time, Phuket FC went on to win a panalty shoot out with Police United, there goals to one. PHUKET: Police used this video, taken from the scene of an attempted burglary in Chalong on April 19, the day after Frenchman Fabrice Boigeol was murdered in his Rawai bungalow, to identify two Burmese suspects. 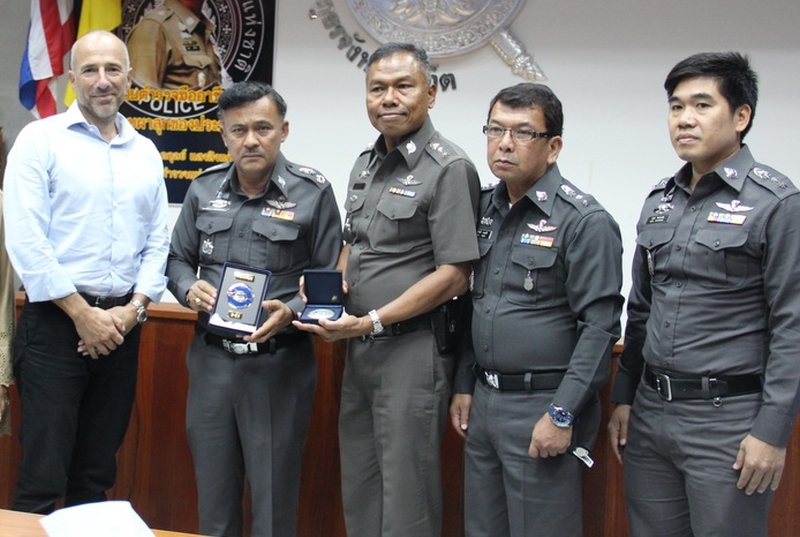 PHUKET: Eric Francelet, Interior Security Attaché from the French Embassy in Bangkok, today (April 30) visited Phuket to thank police for their swift action following the murder of French citizen Fabrice Boigeol on April 18. 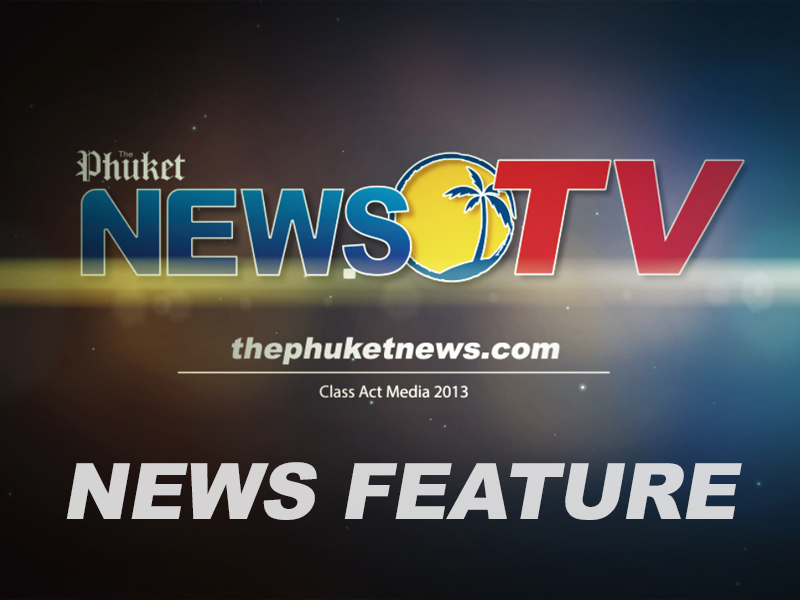 A week of Phuket's news in 'This Week in Phuket'. Everything you need to know, presented by Kirsty Meyer in high definition. PHUKET: Songkran celebrants in Phuket are estimated to have contributed B252 million to the country’s revenue through their spending over the three days of the holiday. 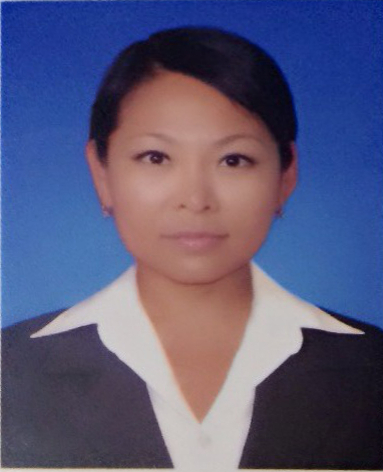 PHUKET: An arrest warrant was issued yesterday (April 29) for Russian expat Larisa Kim, involved in a road accident on April 5 in which a Thai teenager died. PHUKET: A 20-year-old woman learned a sharp lesson yesterday evening (April 29) that others may profit from: never jump seat-first onto a bed. 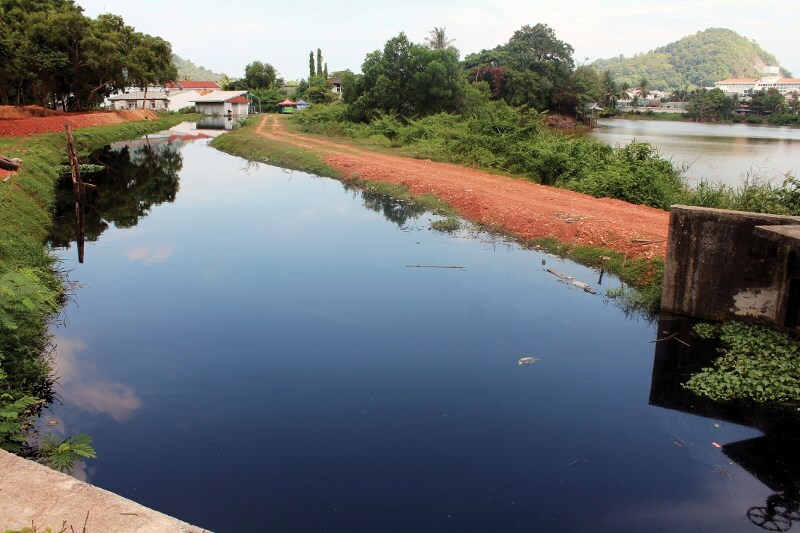 PHUKET: A year after complaints from Sam Kong residents about the stench from Phuket’s largest canal, Klong Bang Yai, drew the attention of the authorities, preparations for a waste-water treatment plant in Tambon Rassada are moving along, local officials announced at a public meeting on Saturday (April 26). 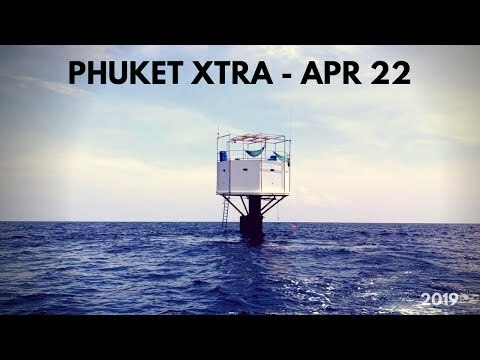 PHUKET: The SOS from a Malaysian vessel in the Andaman Sea, which sent a Royal Thai Navy vessel scrambling to help, turned out to be a false alarm caused by a malfunctioning emergency position-indicating radio beacon, or EPIRB. PHUKET: The Royal Thai Navy is racing out to assist a Malaysian ship in trouble in the Andaman Sea. 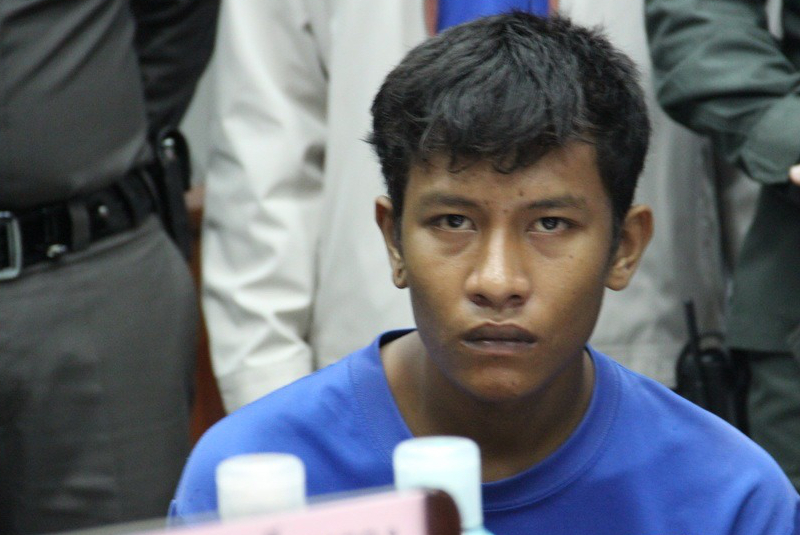 PHUKET: Police are still searching for murder suspect Maung Myo, a Myanmar national, 12 days after French tourist Fabrice Boigeol was found bludgeoned to death in a bungalow in Rawai. PHUKET: Evgenii Baturin, 27, the Russian expat who punched an Australian tourist last Wednesday (April 23), loosening two of his teeth, has been sentenced to a suspended two-month term in prison for the assault and fined B10,000. PHUKET: Hundreds of shoppers are expected to line up at Central Festival Phuket early Saturday morning to be among the first to get their hands on the latest threads from European clothing store H&M, as it launches its first store in southern Thailand. 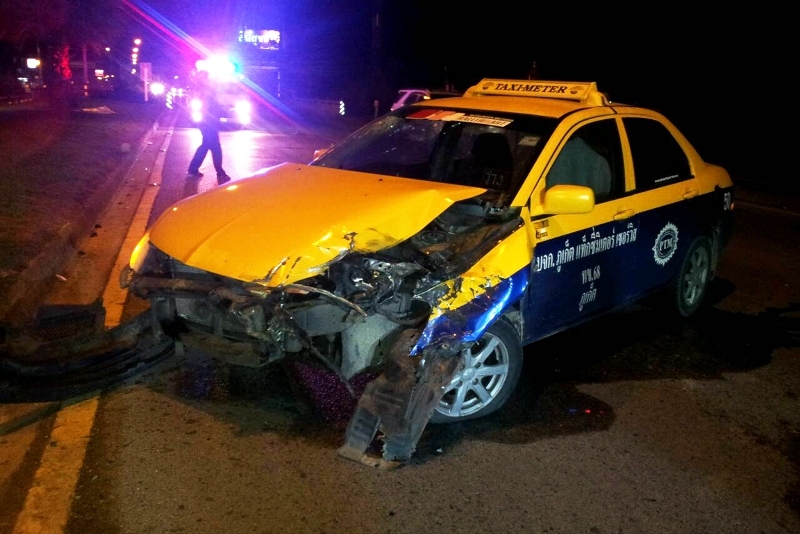 PHUKET: A taxi driver had to be taken to Thalang Hospital early this morning (April 29) when his car tangled with an 18-wheel truck on Thepkrasattri Rd. PHUKET: When UNESCO initiated International Jazz Day in 2011, Tidaporn “Kay” Mangkolkaew and pianist Jeffrey Sevilla, with sponsorship from Phuket Municipality, organised the only event honouring it in Southeast Asia, thereby putting the island squarely on the international jazz map. 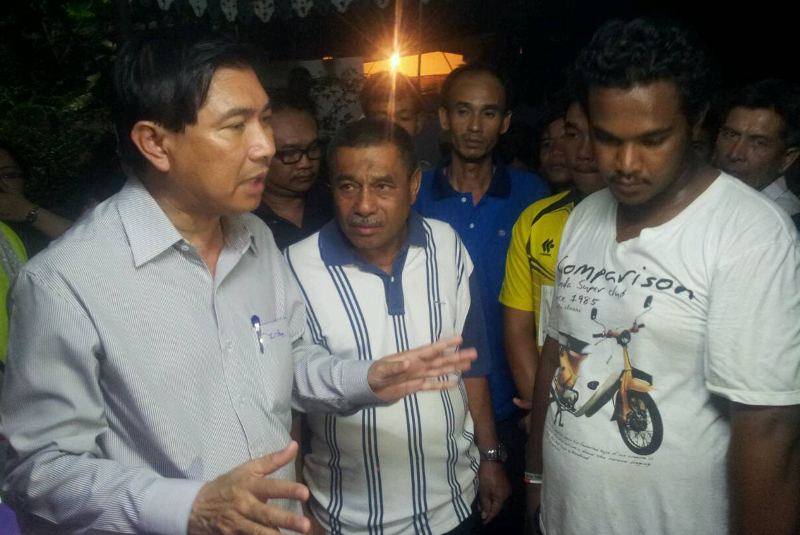 PHUKET: Governor Maitri Inthusut has urged police to be more polite in their dealings with the public, in order to avoid situations like the seven-hour road blockade on April 23. PHUKET: Speed bumps have been installed on the stretch of road between the Wang Talang jewellery store and the Rolly Tasker building on Phuket's Chao Fa West Road, following a protest by locals on Sunday. PHUKET: Four tourists and a boat driver were hurt, though none badly, when two speedboats belonging to the same company collided yesterday afternoon (April 28) at Koh Kai Nork in Phang Nga Bay. 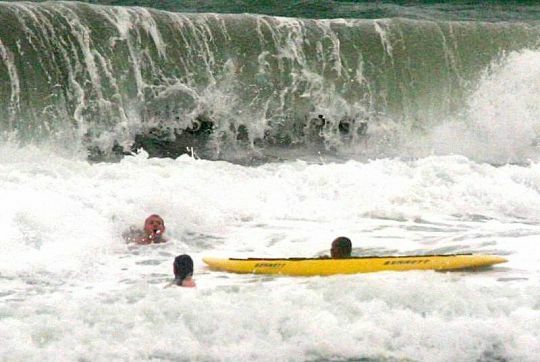 PHUKET: Swimmers will have to take care of themselves at the beach for the time being because there will be no lifeguards to rescue them from the sea for at least a couple of weeks – because of an apparent breakdown in communication and delays in paperwork.